Data from Japan and Switzerland are quiet with only the national core CPI rate due from Japan. The data from the U.S. will see the durable goods orders report coming out following by building permits and housing starts data. The markets are expected to remain slightly volatile due to the Brexit concerns. This could spark a bid to safety that could push the yen and the Swiss franc higher during the week. 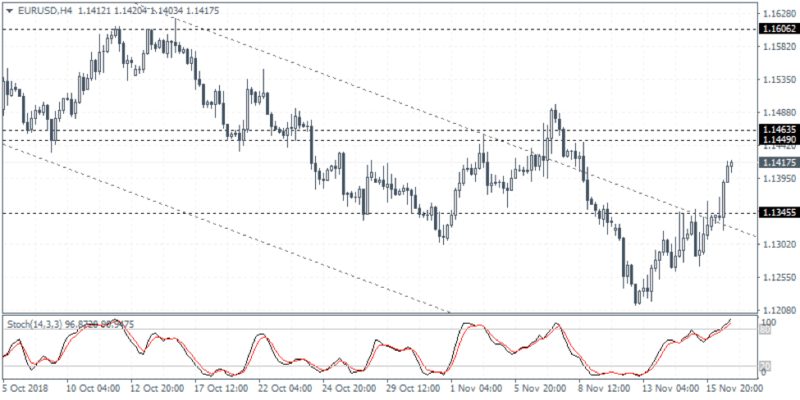 The outlook for the EURUSD is seen to be turning slightly bullish. However, the common currency must establish support at 1.1345 in order to confirm this bias. Failure to hold the rebound in price at this support could mean further declines in store. This would invalidate the bullish outlook. To the upside, the immediate resistance at 1.1449 remains a key level of interest. A potential breach of this level could see the common currency posting further gains. For the week ahead, the EURUSD is expected to be bullish.